When we left off our investigation of whether or not Boston needs to move its main international airport, we outlined the case for making such a move, but didn’t get into the most pressing question: what would replace Logan. Short of teleportation coming onto the scene, there’s still going to be a demand for air travel connecting the city to the rest of the world. Before looking at replacements, let’s lay out some principles regarding what conditions the replacement airport (really, airports as we’ll come to see) would need to meet. Any replacement airport must equal or exceed Logan’s capacity to handle multiple flights to a wide variety of destinations. BOS has six runways. 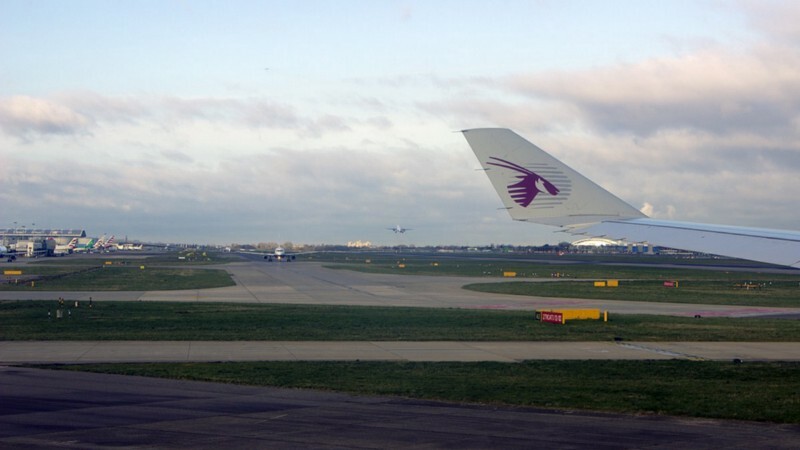 The new airport need not have this many (London’s far-busier Heathrow has two, albeit over a wider area,) but it should be able to handle as many medium-to-long range domestic and international flights as Logan does, and be able to take in more. Any replacement airport must approximate Logan’s level of connectivity to the city to the fullest reasonable extent. What this means in practice is that the airport should be in close proximity to an existing highway and to mass transit. As we’ll see when looking at the alternative options, highway access is not an issue. Multiple airport sites are very close to limited-access highways connecting them to Boston and the region as a whole. It’s unlikely that the new airport would ever have rapid transit service (meaning a subway line, like the Blue Line which serves Logan Airport.) And that’s actually okay, because the ideal transport mode for a large international airport like Boston’s is actually regional rail, what we now call commuter rail. Right now, commuter rail frequencies in the Boston area are terrible by international standards. 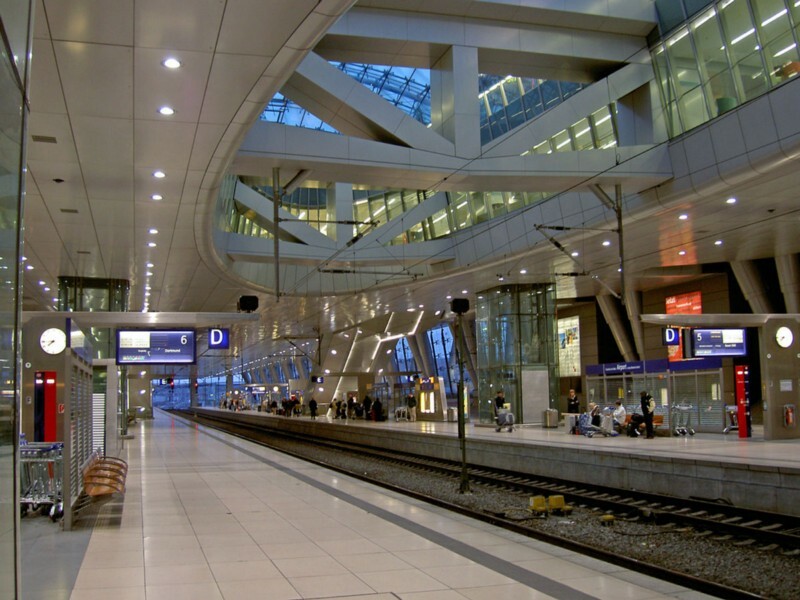 Frankfurt Airport, with some of the best transit access of any airport, only has what we’d call commuter and intercity rail, except the former runs far more frequently, more like an express subway line. This is something, however, which should be done region-wide, and as such has benefits independent of airport service. Done right, regional rail not only provides fast service to the downtown area, but the suburbs as well. There is a third principle, one that concerns building a new airport itself. As with any major project, one reason to be skeptical of relocating Logan is the high upfront cost. The region scarred by the Big Dig’s cost overruns is likely to be very weary, to put it mildly, of building a new airport, especially building one from scratch. Building a new facility creates tremendous uncertainty. The most notorious example of an airport built from scratch is Berlin’s Brandenburg Airport, which has been perpetually delayed despite planning having begun almost immediately following the fall of the Soviet Union. The airport, just to the south of the existing Schonefeld Airport, was intended to be a mega-facility replacing two of Berlin’s three airports — however, now only one of these is slated for closure, with the adjacent Schonefeld being expanded! As of 2015, authorities were spending a whopping $16 million per month on upkeep of the as-of-yet unused airfield. Furthermore, there exist ten active, publicly-owned airports within a 65-mile radius of Boston. The prospects for expanding one of these are greater than successfully locating a greenfield site for a new airport somewhere in the built-out, sprawling Boston suburbs. This gives us our third principle: The “new” airport should be an expanded version of an existing facility. The fourth and final principle concerns funding. There’s no question that relocating a major international airport will be expensive. Concurrently, the benefits accrued to purchasers of the land freed up by BOS will be great. This presents the way to finance an airport replacement. In recent years, the concept of “value capture” for infrastructure financing has attracted much attention. This principle refers to the use of revenue extracted from beneficiaries of new or anticipated infrastructure to finance it. One famous example can be seen in the Hong Kong’s mass transit system’s “Rail+Property model,” wherein the agency develops and sells land around stations to pay for expansions of the system. While such a system can stand to be abused if not administered carefully, it presents a sustainable model for financing capital improvements. Something similar can happen with replacing Logan Airport. A special tax district can be created on the land, and bidding can take place for its land prior to the closure. Revenue from the winning bids would be used to finance the construction of the new airport. Thus, principle four: The companies which wish to develop the land on which Logan sits must bear the cost of its replacement. Such a measure would represent a version of a land value tax, a proposal long advocated by economists from various ends of the political spectrum. Simply put, the land value tax assesses payments due based upon the value of land independently from improvements made by the owner, charging simply based on the prospective value of the land. In the case of Logan, these revenues would go to pay for the airport site itself, including the costs of runway expansion, terminal construction, transportation links, and other infrastructure costs. We’ve just gotten started. Next time, we’ll start looking at where Logan’s replacement might go. All feedback is welcome.